Take advantage of the sightseeing, outdoor activities, and scenery the Hudson River Valley offers on a weekend getaway just a few hours from major cities. Many families living in the New York – New Jersey – Connecticut metropolitan area are looking for a last-minute weekend getaway beyond their local pool or park. If an affordable weekend getaway is what you have in mind, Dutchess County is found less than two hours north of New York City. The city of Poughkeepsie, the county’s largest, has recently opened the the longest elevated pedestrian bridge in the world, offering stunning views of the Hudson Valley. The town of Hyde Park is home to the Roosevelt estate and mansions of the long-ago rich and famous. In addition to historical sites, Dutchess County has lots of family-friendly activities to enjoy in the scenic Hudson Valley. The Poughkeepsie Railroad Bridge was completed and put to use by trains in 1889, at which time it was the longest bridge in the world. In 1974, a fire badly damaged the tracks, and the bridge was abandoned. After decades of discussing what to do with the bridge, construction began in 2008 to transform it into a pedestrian walkway and a New York State Park. 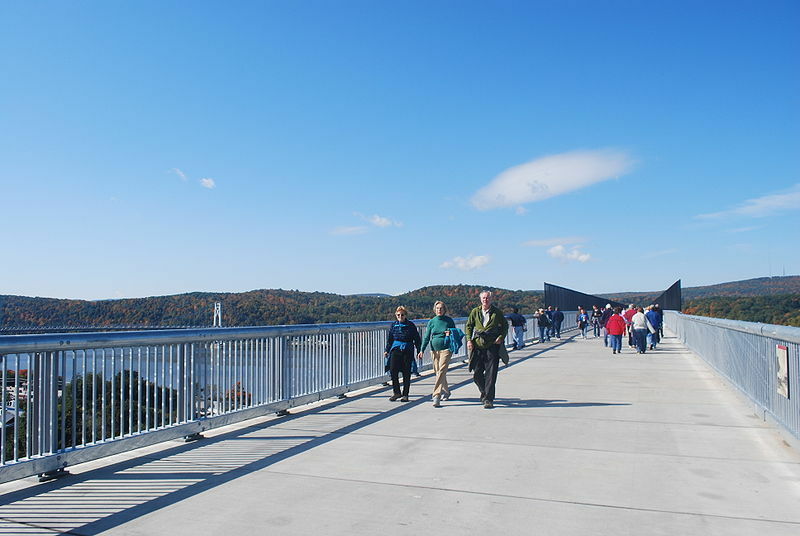 With the efforts of the community-based non-profit foundation Walkway over the Hudson, The Walkway over the Hudson Historic State Park opened in October 2009. Today the park and bridge provide free access to Hudson Valley scenery. The park is open to pedestrians, joggers, bicyclists and wheelchairs, and pets are allowed on a leash. The bridge rises 212 feet over the Hudson River and is 1.28 miles long, making a trip over and back a pleasant stroll. The park offers interpretive signs and a “Talkway over the Walkway” cell phone tour. The park and bridge are open year-round, every day, from 7am till sunset. There are lots of other ways to enjoy the scenic Hudson Valley in addition to the Walkway over the Hudson. One way to experience the river is to take a boat cruise. One cruise in particular emphasizes education and environmentalism, and works to promote awareness of the importance of protecting the Hudson. 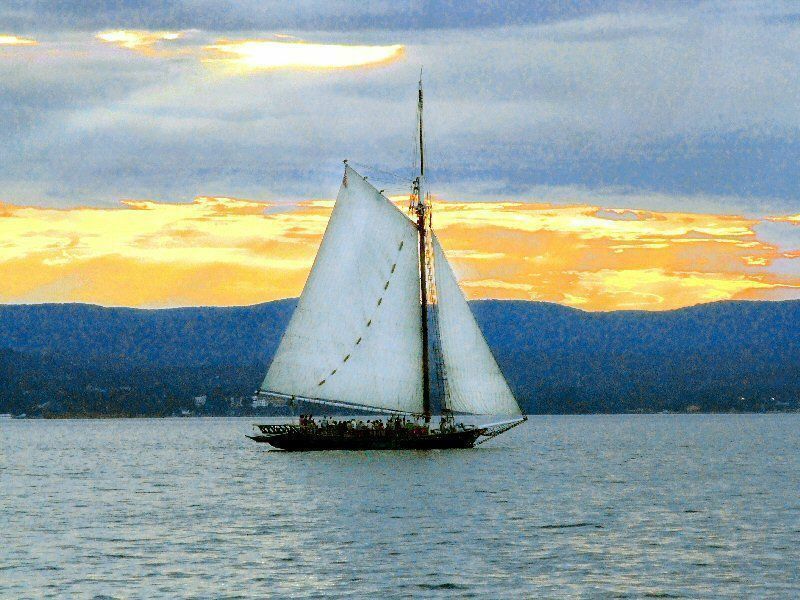 The Clearwater sloop was launched by folk singer Pete Seeger in 1969 as part of an effort to clean up the Hudson River, which at the time was extremely polluted. Due in part to the efforts of the Clearwater, the Clean Water Act was passed and the Hudson River was designated an American Heritage River. Today, more than 40,000 children have sailed on the Clearwater and taken part in the on-board environmental classroom— on a much cleaner Hudson River than in 1969. The sloop sails from various ports up and down the Hudson, including Poughkeepsie. Public sails fill up quickly, so you should book your tickets ahead online if you plan to go. A sail is $55 for adults and $15 for kids under 12. If a sloop is too big for you, you can also explore the Hudson by kayak. Atlantic Kayak Tours offers lots of kayak lessons and tours for various skill levels. One of their locations is in Mills-Norrie State Park, about 20 minutes north of Poughkeepsie. The Norrie short tour leaves from the park and lasts about three hours. for 2010, the tour costs $50 with equipment included. More experienced paddlers can rent kayaks and canoes at the park for half day ($45 for a single kayak) or full day ($55 for the same). Other outdoor activities in the area include hiking and biking. 30 miles of the Appalachian Trail pass through Dutchess County, offering stretches of trails through large areas of protected parkland. For bicycle enthusiasts, the Harlem Valley Rail Trail offers 15 miles of paved trails that are relatively flat (good for younger bikers). The Hudson Valley is also rich in history. For starters, in the town of Hyde Park, just north of Poughkeepsie, you can visit the home of Franklin D. Roosevelt, now a national historic site. 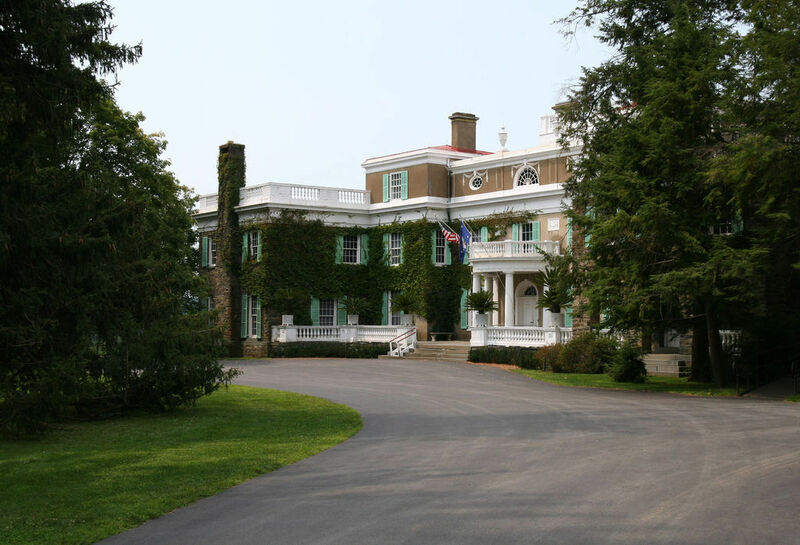 You can tour the president’s Springwood estate (call 845/229-5320 for tour reservations) and check out the Presidential Library and Museum also on site, as well as wander the trails and gardens that criss-cross the 300-acre grounds of the estate. The estate and the museum are open every day, except holidays, from 9am to 5pm. Combination estate tour and museum tickets for summer 2010 cost $14, and kids 15 and under are free. 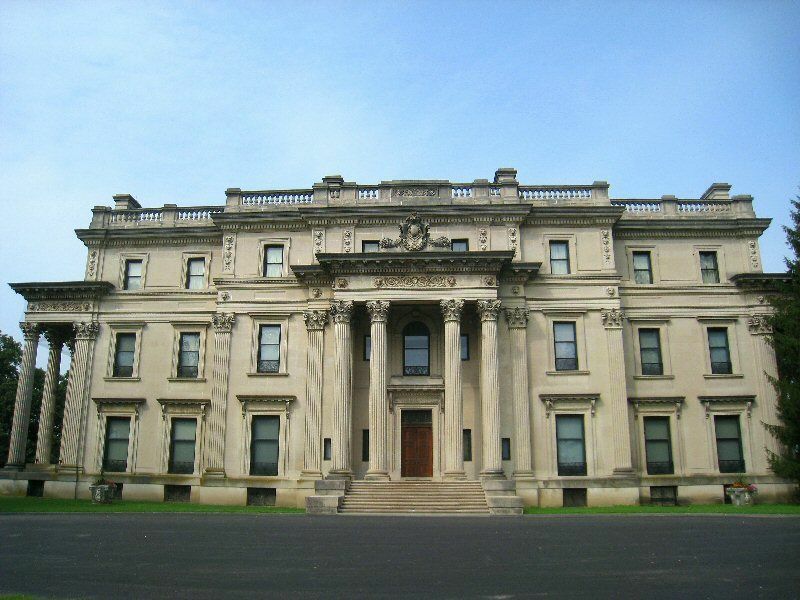 Also in Hyde Park is the Vanderbilt Mansion National Historic Site, where you can step into the past and learn about the lifestyles of the rich and famous—those who owned lavish country houses in the 20th century, a period known as the “Gilded Age.” The mansion also has extensive gardens on its grounds, which also offer picnic tables with scenic overlooks of the Hudson. The historic Hyde Park is also home to the Eleanor Roosevelt National Historic Site—the only National Historic Site dedicated to a first lady. The site offers guided tours (for $8) of the First Lady’s cottage, Val-Kill, which she used as her office, retreat and home. The cottage is open everyday from 9am to 5pm from May to October. From November to April, the site is open only in the afternoons and is closed on Tuesdays and Wednesdays. History aside, Hyde Park also has some great food. It is a popular second home community for New Yorkers and boasts many gourmet eateries, health food stores, bakeries and farmers’ markets (visit the one in Millbrook on Satrudays year round) that celebrate the region’s agricultural heritage. The small town of Hyde Park is home to the New York campus of the Culinary Institute of America. On their campus, the CIA runs four award-winning, student-staffed restaurants, the most casual of which is the St. Andrews CafÃ©, open Monday through Friday. Reservations are highly recommended and can be made by calling 845/471-6608. The CIA also runs the Apple Pie Bakery CafÃ©. Salads and sandwiches are available here, but you’ll want to go for the baked goods, which include French macaroons and a dizzying variety of cupcakes. Public tours of the campus given by CIA students are also available and can be arranged by calling 845/451-1588. The tours are $6 per person and will be great fun for your budding foodies. If you’re full of food and tired of history, you can check out the Mid-Hudson Children’s Museum, right on the waterfront in downtown Poughkeepsie. It has two floors of hands-on exhibits; including the Hudson River Tides water play table, the Hudson River simulated dive bell, and a giant bubble machine. Opening soon is an exhibit featuring a mastodon skeleton found just a few miles from Poughkeepsie. The museum is closed Mondays and major holidays, and admission is $6.50. For more family fun in the summer months, check out SplashDown Beach, a small and low-key water park that nevertheless boasts tube and body slides as well as a wave pool and pirate-ship themed water playground. For 2001, adult admission is $29.50, while kids are $24.50. There are lots of lodging options in the area, but the quiet town of Hyde Park is a calmer choice to stay in than downtown Poughkeepsie. The Roosevelt Inn in Hyde Park is close to the historical sites, and offers motel-type lodging with standard room types as well as rustic style rooms with knotty-pine interiors. It’s open only from March to December, with rates starting less than $ per night for a family double. If you prefer to stay in Poughkeepsie, one option is the Hampton Inn Suites, which offers standard hotel rooms as well as suites. The Inn has an indoor pool, fitness center, and complimentary breakfast, with rates from around $$ per night. See Poughkeepsie Lodging for more ideas on where to stay. Poughkeepsie and Dutchess County are close enough to New York City to make getting there from the city not too much of a hassle. Metro North trains run from Grand Central in Manhattan to the Poughkeepsie train station and get you there in just over an hour and a half. By car, take the New York State Thruway or the Taconic Parkway. Though this region of family farms, stables, apple orchards and small colleges is not far from some of the country’s largest cities, you’ll definitely feel like you’ve gotten away from it all as you stroll across the Walkway over the Hudson or wander through Hyde Park. With lots of activities on and off the river, Poughkeepsie and Dutchess County offer a quick, easy, and not too expensive weekend away from the daily grind. Atlantis also offers cheap <a href="http://www.newyorkcruises.com/Default.aspx">New York boat cruise</a>s.